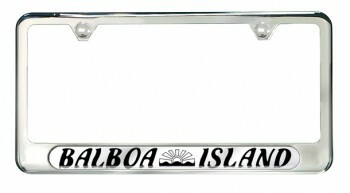 Made of Stainless Steel - Resistant to the Sea Air of Balboa Island. So will withstand anything!! 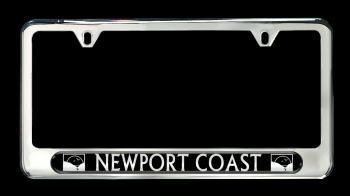 Stainless Steel - Resistant to the Sea Air along the Coast here in Newport Beach, so it will provide a lifetime of enjoyment here or anywhere else!! 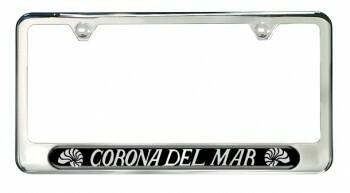 Jewelry For Your Car - Not Just Another Pretty License Plate Frame! And from Crystal Cove - a Gem in itself!! 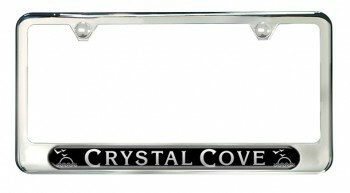 Manufactured in Lake Forest by Canisasca the premier manufacturer of fine-quality license plate frames. Made of Stainless Steel to resist our local sea air and give you a lifetime of pleasure!! Jewelry for Your Beautiful Vehicle!! Manufactured by Camisasca Automotive Manufacturing. Casisasca is the only place you will find showcase-quality exterior trim products made from expensive allows for your vehicle. We know that a person’s car is an extension of their pride and often says a great deal about the person driving it. 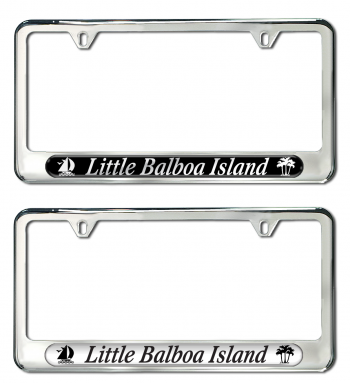 These are high quality license plate frames that will give you a lifetime of pleasure! 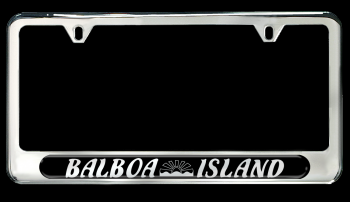 Manufactured in Lake Forest by an American-family owned and operated Camisasca Automotive Manufacturing, Inc. They know your car reflects a lot about the person driving it. They make their products from expensive alloys which will stand up to years of wear.